The Beer Stube is our 3,000 sq foot, 99 person, brewery pub with all Roy-Pitz Liquid Art available to be consumed on site at the brewery. 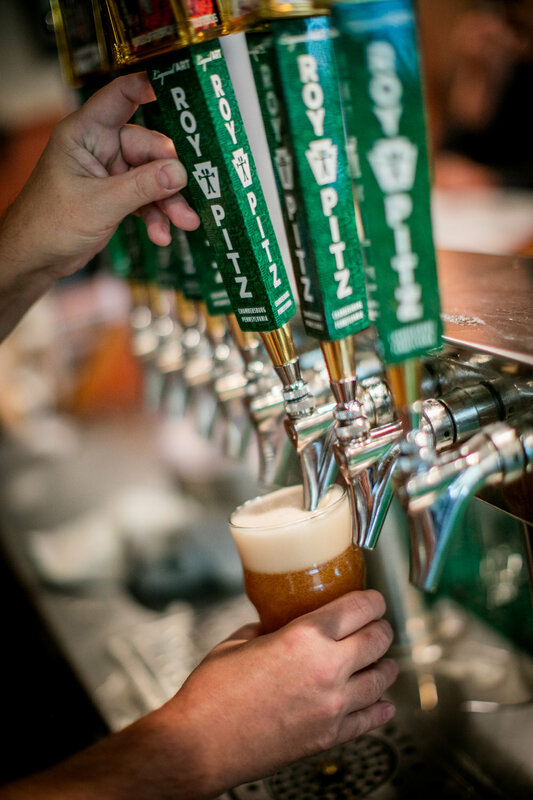 We offer a full menu that embodies the Roy-Pitz spirit of classic favorites with an artistic twist. We pair our menu with our award-winning Liquid Art to unique combination of culinary and liquid artistry, local ingredients, all in a social and relaxed environment. The Beer Stube features live music as well as trivia and events throughout the week.